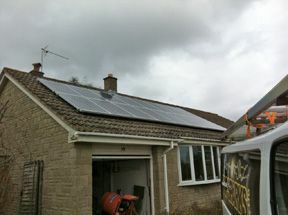 Topsparks have a dedicated team of solar photovoltaic experts and have inexcess of 30 installations behind them. We are NICEIC Appoved contractors, NICEIC accredited. 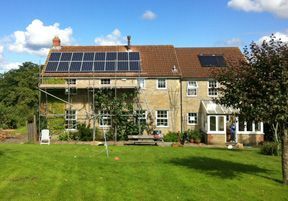 We supply and install Solar Photovoltaic panels both domestically and commercially. 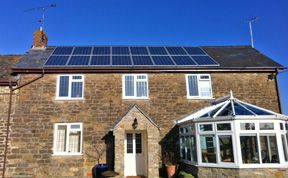 We provide a full service from initial survey to FIT (feed in tariff) applications. 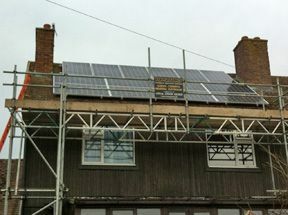 Our service starts with a free survey which will include an in depth discussion of your options as well as assessing the viability of any installation. Once we have established your requirements you will be furnished with a free no obligation quotation. The quotation will include only premium manufacturers materials with makes such as Sharp, Canadian Solar, Hyundi, Panasonic, SMA, Power one, Shueco, etc. 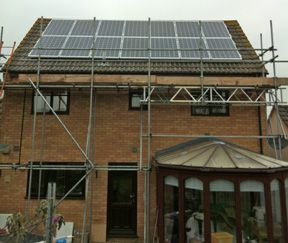 We organise, qualified and insured roofing and scaffolding contractors as part of any quote. Prior to any work starting we will arrange for an EPC (energy performance certificate) to be carried out in order to verify that any rate of FIT predicted can be achieved. Once your installation is complete we will assist you in filling out your FIT application as well as registering the job with the DNO as required.